Satanael is one of the most powerful Persona in Persona 5. He is Arsene’s awakened form and Joker’s final Persona. He is the crystallization of all the social confidants that Joker has earned. When you at least leveled up your Strength Confidant up to 5 or maxed, Joker will be able to unlock him. 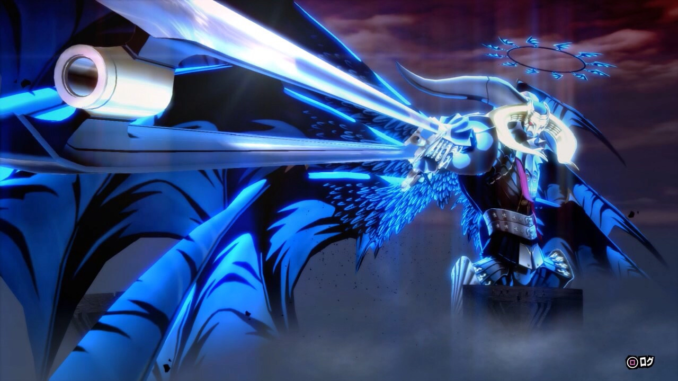 However, the main problem with Satanael is actually having the money and making sure you completed the confidant to summon this particular Persona. Since Satanael is one of the Ultimate Personas, you have to finish the game first. However, once you finish the game, you’ll unlock him as one of the options in Advanced Fusions. However, the problem with Satanael is actually withdrawing all the persona you threw into the compendium as it needs some Yen. Track down Anzu in Futaba’s Palace. Complete Ann Takamaki’s Lovers Confidant. This unlocks the fusion for Ishtar who is the max out the Lovers Arcana. Ishtar can be made when fusing Uriel (Level 81) x Kali (Level 77). You need Raphael (Level 78) x Gabriel (Level 77) x Uriel (Level 81). Fuse them via Advanced Fusion to acquire Michael. Complete Sae Nijima’s Judgement Confidant to unlocks Satan (Level 92). Raphael (Level 78) x Kali (Level 77). Abbadon (Level 74) x Any Treasure Persona. Complete Hifumi Togou’s Star Confidant to unlock Lucifer. When trying to fuse Lucifer, check your Advanced Fusion list. Trumpeter (Judgement) = Black Rider x Pale Rider x White Rider x Red Rider. Michael (Justice) = Raphael x Uriel x Gabriel. Satan (Judgement) = Abbadon x Treasure Persona/ Kali x Raphael. Metatron (Justice) = To acquire Metatron, Yuuki Mishima’s Moon Confidant needed to be maxed to get Sandalphon. Sandalphon is a material for Metatron. Then, max out Goro Akechi’s Social Confidant to unlock completely. Anubis = Farm him out in Futaba Palace. Cosmic Flare 54 SP Deal severe Nuclear damage to all foes. Satanael has no weaknesses. 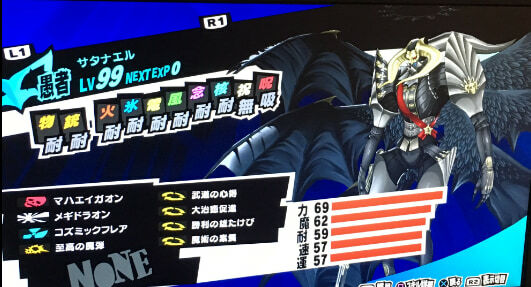 Given that he is the ultimate persona in the game, it’ll take a lot to summon him. Satanael learns Cosmic Flare at Level 96. As a Colossal-level Nuclear Spell, pairing it up with Concentrate and Tarukaja will let you deal heavy damage towards bosses easily. However, Yaldabaoth’s Book of Commandments reflects the spell so make sure you take that out first before using it. However, his main and most coveted ability is Victory Cry. For those who have played the Shin Megami Tensei games, they would know that this ability is a difficulty slider for you or pain on bosses. This ability fully heals the SP and HP after defeating an enemy. When this happens, it technically replenishes you for the next fight. While Satanael is powerful, have him inherit other skills as to also make him stronger. The Moon Arcana need to be maxed to get sandalphon. Which is a material for Metatron. Which is also necessary to fuse Lucifer.